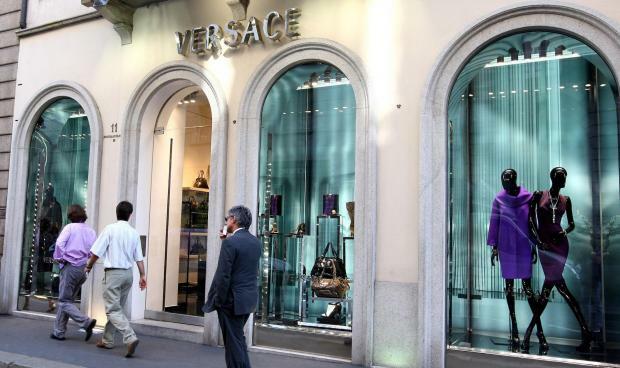 A former Versace employee is suing the luxury retail operation, accusing the fashion business of discrimination for its use of a secret “black code” to alert staff and security when a black shopper is in the store, according to the court action. “The manager instructed the plaintiff to say ‘D410’ in a causal manner when a black person entered the store” to “alert co-workers,” states the suit, filed last month in the California Superior Court in Alameda County. The worker was fired just weeks later after he told the manager that he was African-American, TMZ reported. He’s suing for unpaid wages and damages. Versace has denied the allegations, and has filed a request for dismissal of the suit. Donatella Versace defended the “bold” ad and Hadid’s “amazing strength of character,” without directly addressing the early-pregnancy controversy.